The new value-based, quality-focused reimbursement mandates are officially in play. 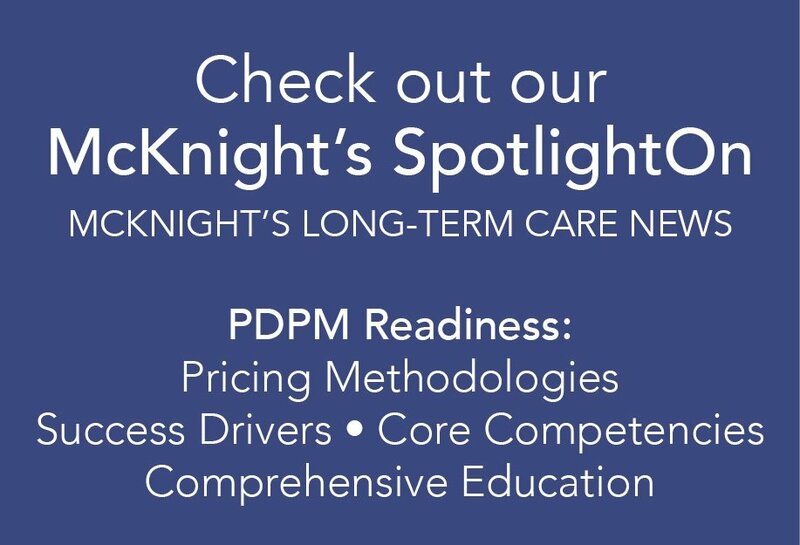 As of January 1, 2017, all skilled nursing facilities nationwide are to be evaluated, ranked, and subsequently reimbursed, (or not) according rules outlined in the new Value Based Purchasing Program (“VBP Program”). This critical game-changing CMS initiative means that up to 90% of all fee-for-service payments will now be linked, as promised, to how well skilled nursing homes are able to deliver better clinical outcomes and an optimal care experience for Medicare beneficiaries. Two percent of SNF payments will be withheld and then subsequently paid back in 2019 only to those who are able to proactively improve or achieve rehospitalization rates relative to their peers nationwide. An unplanned hospital readmission for Medicare fee-for-service SNF patients within 30 days of discharge from a prior hospitalization. NOTE: The SNFRM is adjusted to account for patient differences, such as comorbidities, when comparing facility readmission rates. SNFRM performance information will be made available to each SNF through confidential quarterly feedback reports. The VBP Program encourages SNF providers to monitor and reduce hospital readmissions, thereby reducing costs and improving the quality of care for Medicare beneficiaries. Success will be measured, or scored by both achievement and improvement on the 30-Day All Cause Readmission Measure (or “SNFRM”). CMS will then force-rank all SNFs nationwide from low to high based on these scores. as well as patient-centered care planning and discharge planning. As of November 28, 2016, SNFs are subject to principles outlined in the first phase of The Final Rule, while Phase 2 implementation is scheduled to begin this year in November 2017. Discharge planning is a major focus. As such, HealthPRO®/Heritage customers must execute on redesign initiatives to assure the following processes are in place. Baseline care planning for each resident within 48 hours of admission will be required. Conventional wisdom suggests that while Phase 1 of The Final Rule may present challenges inherent in making important changes, Phase 2 will actually prove to be the most taxing for most SNF providers. It will require considerable training, resource allocation, and drastic changes in the current paradigm. Plan accordingly for Q4 2017 and beyond! Please refer to the tables below for specifics related to the roll-out of Phases 1-3. HealthPRO®/Heritage takes its role seriously in helping to ensure our clients not only survive, but thrive in 2017 and beyond. Regular education regarding the extent of these CMS changes (including deadlines and tips for success) is the foundation of our partnerships. Additionally, HealthPRO®/Heritage can support/implement clinical and operational initiatives to optimize discharge planning and documentation practices to align with CMS mandates. HealthPRO®/Heritage successfully assists SNF clients with critical care redesign initiatives (such as with re-hospitalization mitigation, medication management, data collection/scorecard, clinical niche programming, QAPI/QM programming, etc.) as well as therapy management services. For more information on how HealthPRO®/Heritage can help, please contact the Clinical Strategies Division.